Hi guys!! Friday is here already. I got tons of work done this week but still have more to do. 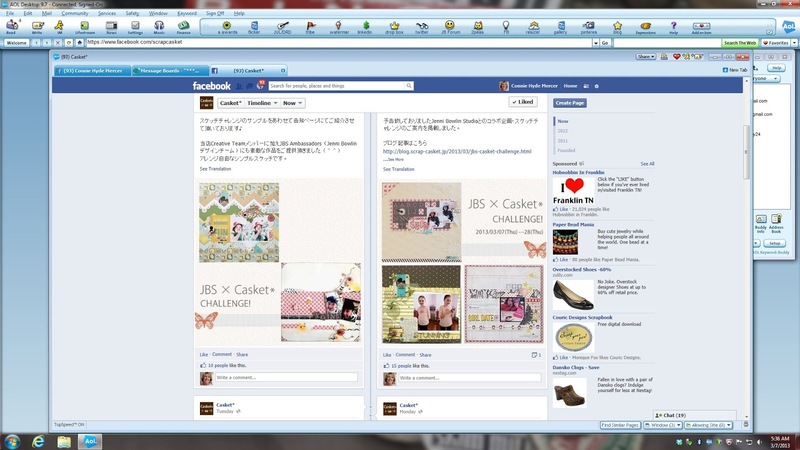 This layout was featured, along with others on the Casket (Scrapbooking store in Japan) website today. It was on my Face Book wall too. 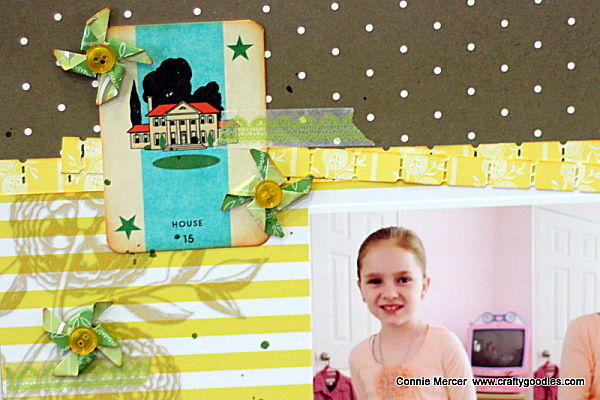 If you missed it you can find it HERE along with the other beautiful layouts showcasing Jenni Bowlin Studio. 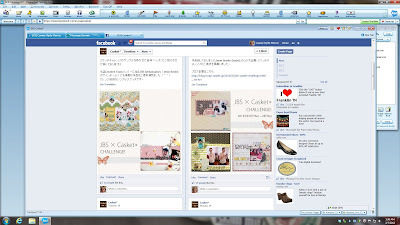 Thank you for inviting the JBS Team ( special thanks to Harumi Hagiwara for organizing ). How exciting! I loveeeeeeeee your lo!! LOVING the colors and love love love all the pinwheels!!! Japan?! Cool! Great pics too! Wow! You are going international...You so deserve it!! 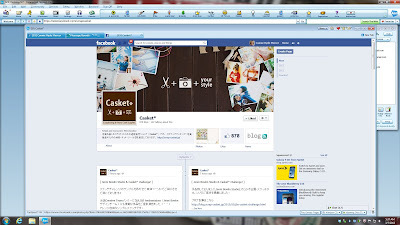 Love the page..congrats! This is a VERY pretty layout! I really like this one a lot! Very nice! Such a fun partnership! Love this page, Connie! Love the colors on your sweet page! well, how totally cool is that?!?!? congrats!!!! I love, love your page, and the shadow stamping (I'm not sure if that's what you did, but the light flowers on the l/h side look great! Congrats on the Japan coverage! And now you're making a splash in Japan! Congrats. Love your page and all that yellow.